Cymbopogon citratus, commonly known as lemon grass or oil grass, is actually a tropical plant native to tropical Asia mostly southern parts of India and Sri Lanka. It is a frost-tender clumping perennial grass that is commonly used as a lemony flavoring in Thai, Vietnamese, Laotian and Cambodian cooking and is widely cultivated in Southeast Asia for that purpose. It is also an outstanding ornamental grass from grass family of Poaceae. 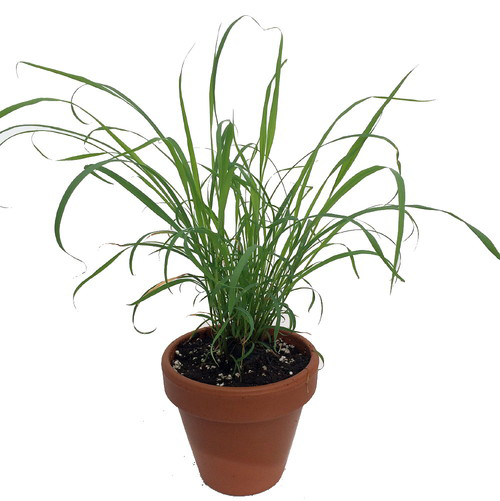 Some of the popular common names of the plant are Citronella grass, Fever grass, Lemon grass, Lemon-scented grass, West Indian lemon grass, barbed wire grass, Melissa grass, oil grass and Squinant. Genus name comes from the Greek words kymbe meaning a boat and pogon meaning a beard. Specific epithet means resembling Citrus for the scent. Sharp, lemony flavor and scent make it a flavorful addition to stir-fries, soups, curries and marinades, especially in Vietnamese and Thai cuisines. Its green outer stalks can be brewed into a tea that is popular in folk medicine traditions as a treatment for a variety of diseases. In fact, lemongrass may contain compounds that can improve your health as well as the taste of your cooking, though more research is needed before it can be recommended as a treatment for any condition. Lemon grass is an aromatic tropical, evergreen, perennial grass that grows about 2 to 4 feet in height and 3 feet in diameter. The plant usually prefers well-drained, moist, rich loam soil with high organic content. It can tolerate poor soils if provided sufficient moisture and good drainage. Water logged soils should be avoided. Leaves are bluish green, thin, blade-like with drooping, pointed tips. Leaves change color from green to red during the autumn. Crushed leaves emit lemony aroma. Flowers are small, white, creamy or green, densely packed in terminal spikes. Flowers of lemongrass are designed for pollination by wind. Flowers are followed by caryopsis (type of dry fruit which does not split to release seed). Due to its sharp, lemony flavor and scent it is a flavorful addition to stir-fries, soups, curries and marinades, mainly in Vietnamese and Thai cuisines. Lemongrass helps to alleviate the pain and discomfort caused by headaches and migraines due to its analgesic properties. Phytonutrients present in it improve blood circulation and help in relieving spasms, muscle cramps, sprains, and backaches. It is appreciated in treating sports wounds, including dislocations, internal injuries, and bruises. Lemongrass is used in the manufacturing of deodorants due to its cleansing and antibacterial properties which help combat unpleasant body-odor and prevent fungal and bacterial infections. It can also be added to footbaths for sanitizing sore and odorous feet. Lemongrass is also known as the ‘fever grass’, due to its beneficial effects in lowering fever. The anti-pyretic and diaphoretic effect of lemongrass is widely used in Ayurvedic medicine for curing fevers by inducing sweating. 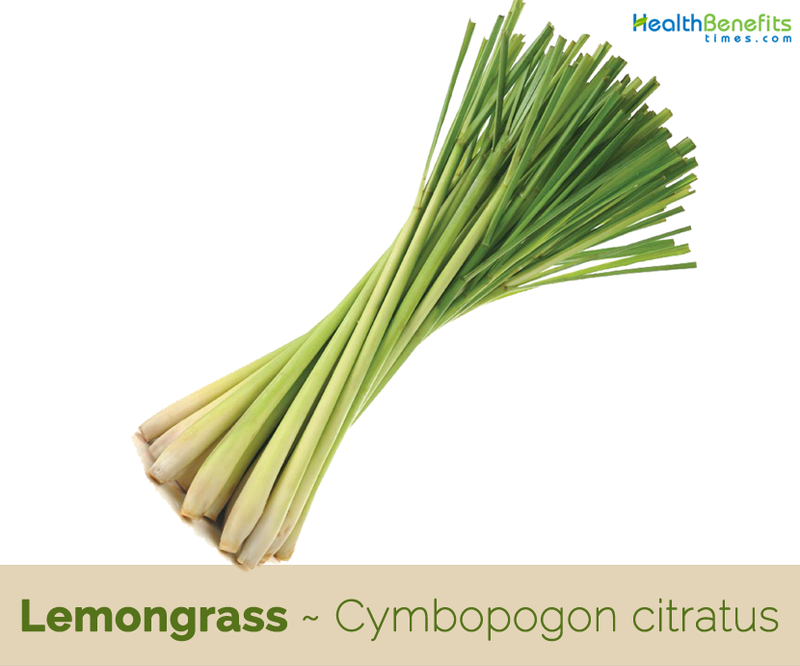 Lemongrass is extensively used in Ayurvedic medicine for its healing effects in treating cough and cold. Vitamin C present in it helps in providing relief from nasal blockages, flu and other respiratory disorders such as bronchial asthma. Lemongrass has been treasured as a skin tonic and makes an effective cleanser for oily or acne-prone skin, due to its astringent and antiseptic qualities. It helps in strengthening the skin tissues and toning up the pores while also sterilizing them. Care should be taken while using lemongrass products, as the undiluted application might lead to dermal irritation in some cases. 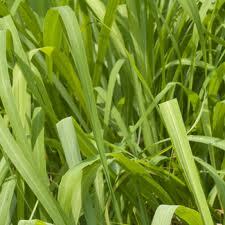 Lemon grass provides a very effective treatment for blockage, with no unwanted effects. Boil water, include tea and lemon grass. Allow it to brew for a couple minutes. After that strain it, include some honey as well as drink it without milk. If at all possible, drink a couple of cups each day. Lemon grass is recognized to provide relief to those people irritating body aches you’ve when you are down along with flu. 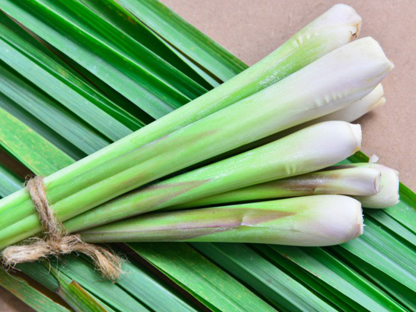 Lemongrass is effective in curing the condition of water retention or edema. It has a cleansing effect on lymphatic congestion and helps soothe the swelling. 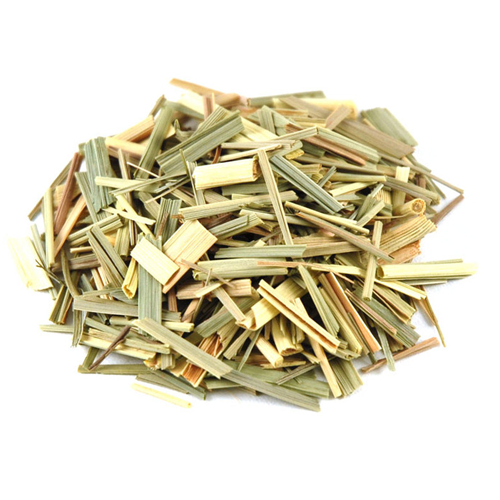 Lemongrass is effective in relieving the pain and discomfort caused by rheumatism. It can be applied topically on both lumbago and sprains and helps in relieving neuralgia. Lemongrass is nervine and has been proven to be a tonic for the nervous system. It encourages the mind and helps in combating convulsions, nervousness, vertigo, and various neuronal disorders such as Alzheimer’s and Parkinson’s disease. It is used in therapeutic baths, which assist in calming the nerves and relieving the symptoms of anxiety and fatigue caused by stress. Leaves of the plant are used as stimulant, sudorific, antiperiodic, and anti-catarrhal, while the essential oil is used as carminative, depressant, analgesic, antipyretic, antibacterial, and anti fungal agent in traditional medicine of India. Leaves and the essential oil are used in traditional medicine to relieve spasms and increase perspiration. It is used to treat digestive ailments, arthritis pains, and various skin conditions. Essential oil obtained from the plant is an effective anti fungal and antibacterial. Plant is used principally as a tea in the treatment of digestive problems, where it relaxes the muscles of the stomach and gut, relieving cramping pains and flatulence. It is mainly useful for children, for whom it is also used to treat minor feverish illnesses. Externally, especially in the form of the extracted essential oil, the plant is a very effective treatment for a range of conditions including athlete’s foot, ringworm, lice and scabies. It is also applied to ease the pain of arthritic joints. Lemongrass is used in Chinese medicine to treat a variety of ailments including eczema, colds, common , stomach ache, abdominal pain and rheumatic pain. 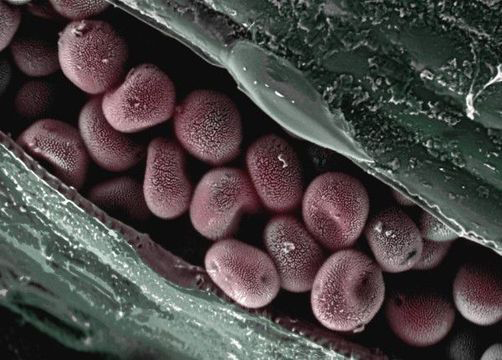 It is used in treating Staph Infections and combating Skin Infections. It is an effective wound wash. It possesses antibacterial and antimicrobial properties and helps to controls the problem of excessive sweating. It kills the microorganisms which cause body odor. It reduces the LDL cholesterol and keeps the level of triglycerides under control. Lemongrass encourages the smooth flow of blood through the arteries and blocks the buildup of lipids in the blood vessels. Antioxidants present in lemon grass prevent free radical damage and lower the risk of Cancer. It is good herbal remedy in treating Gastrointestinal Disorders. 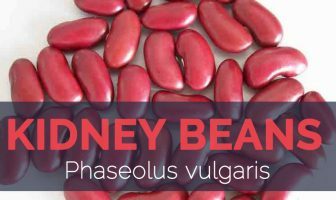 It improves the bowel functions and stimulates digestion. It destroys the bad bacteria and parasites in the digestive tract. Phytonutrients found in lemon grass improve blood circulation and alleviate Spasms, Sprains and Cramps. It strengthens the skin tissues and reduces irritation and cures the problem of Acne. Lemon grass as herbal medicine for gastrointestinal issues stomachaches, diarrhea, gas, bowel spasms, vomiting, fever, the flu, as well as headaches used as tea, 1 cup each and every 8 hours. The tea is made by boiling about 10 leaves in 2 cups of water, including sugar to taste along with a slice of ginger. Lemon grass oil combined with other essential oils just like coconut oil is utilized like a liniment for back pains, rheumatism, neuralgia, sprains along with other body pains. Lemongrass oil combined with other essential oils just like lavender or even jasmine oil utilized in baths or even vapor scents can easily rejuvenate the body as well as reducing the signs and symptoms of jetlag, headaches, anxiety and stress associated exhaustion. Lemon grass is utilized in Indian Ayurvedic medicine to deal with fevers and infectious illnesses. Lemon grass can also be utilized in Chinese medicine to deal with colds as well as rheumatism. To deal with circulatory disorders, several authorities suggest massaging a couple of drops of lemongrass oil onto the skin of affected regions; it really is thought to work through enhancing blood circulation. Lemongrass is beneficial in killing cancer cells. It is advantageous along with respiratory infections just like sore throats, laryngitis and fever and enables avoid spreading of infectious illnesses. 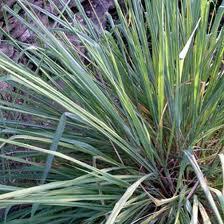 Lemon grass is additionally utilized just as one insect repellent. It will help to keep pets thoroughly clean of fleas, ticks and lice. Fungal infections just like athlete’s foot or ringworm may be treatable using a paste made from buttermilk as well as lemon grass. Lemon grass is additionally a great mouth wash. Saturate 2 tablespoonful’s of chopped lemongrass in the glass of hot water for 30 minutes, and after that strain. Make use of the herbal infusion as mouth wash.
To treat blood circulation difficulties as well as enhance blood circulation, apply a couple of drops of lemongrass oil around the affected region to get instant relief. This particular herbal remedy is additionally great for sprains, tendinitis, neuralgia, as well as rheumatism. Lemongrass is additionally beneficial in increasing the texture of the skin simply by cleaning skin disorders just like acne as well as pimples. Combining 1-2 drops lemongrass essential oil in ½ cup warm water, as well as apply it onto acne or even pimples to control acne outbreaks. Headache Pillow: 1 cup dried out lemongrass; 1/2 cup dried out lavender; 1/4 cup dried out marjoram; 1 tsp crushed cloves. Mix all of the components, put in a tiny muslin bag, as well as slip between the pillow and also the pillow case. Pain: Oil is used for several types of pain. Apply it on the affected part twice a day. Fever: Boil grass in water. Inhale the vapor thrice a day. OR crush the leaves. Boil one teaspoon in a glass of water. Have it twice a day. Vomiting: Take 2 drops of oil with sugar. Repeat it after every 2 hours. Neuralgia: Take the grass. Add Margosa oil. Warm it for half minute. Apply on the affected area. Rheumatism: Take the grass. Add Margosa oil. Warm it for half minute. Apply on the affected area. Sprains: Take the grass. Add Margosa oil. Warm it for half minute. Apply on the affected area. Analgesic: Mix Lemon Grass (Gandhatrina) Oil with any other essential oil. Use as a Liniment for Body Pains, Rheumatism, and Sprains. Emphysema: Cut 2 blades of Lemon Grass (Gandhatrina). Put in a cup of boiled water and cover. Strain it after 10 minutes. Drink it twice a day. Poor Blood Circulation: Massage a few drops of Lemon Grass (Gandhatrina) oil on the affected areas to improve Blood Circulation. Ringworms: Put few drops of the Lemon Grass (Gandhatrina) essential oil in warm water. Wash the affected area with this water. OR: Boil Lemon Grass (Gandhatrina) in some water for 5-7 minutes. Use it as a compress. Athlete’s foot: Put few drops of the Lemon Grass (Gandhatrina) essential oil in warm water. Wash the affected area with this water. OR: Boil Lemon Grass (Gandhatrina) in some water for 5-7 minutes. Use it as a compress. Flatulence: Crush the leaves. Boil one teaspoon in a glass of water. Have it twice a day. 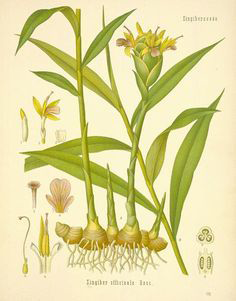 OR: Make a Lemon Grass tea flavored with some Ginger. Add sugar for taste and drink. Hair fall: Boil 1 to 2 teaspoons dried powder of Lemon Grass in 200 ml of water for 10 minutes. Rinse your hairs with it after shampooing. Pulmonary Embolism: Simmer Lemon Grass (Gandhatrina) leaves in 150 ml of water for 5 to 10 minutes. Strain off this decoction. Daily consumption is effective to prevent Pulmonary Embolism. High Cholesterol: Boil some Lemon grass in water and have a cup of decoction every day. Detoxificant: Have a cup of Lemon Grass tea every day. Cancer: Make a decoction of Lemon Grass and have 1 cup every day. Mrsa Infection: Have a cup of Lemon Grass tea every day or Apply Lemon Grass paste on the affected area in case of external symptoms. Stomach Disorders: Boil some Lemon Grass in water for 5 to 10 min. Have a cup of tea every day. Insomnia: Prepare a cup of Lemon Grass tea and have it every day. 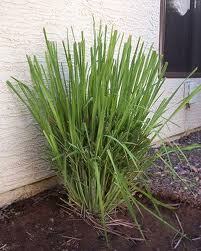 Respiratory Ailments: Boil some Lemon Grass in water and inhale the vapors. Do it 3 to 4 times in a day. 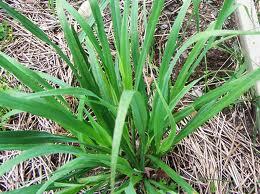 Skin Infections: Make a paste of Lemon Grass and apply on the affected area. Regular application shows good effects. Urinary tract Infections: The antimicrobial factor of Lemon Grass prevents the growth of yeast and microorganisms in the Body. It is beneficial in treating Urinary Tract Infections and Candidiasis. Obesity: Lemon Grass is diuretic in nature. This prevents the accumulation of extra fat in the body. Have a cup of Lemon Grass tea every day. 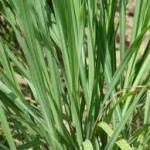 Edema: Lemon Grass is good for water retention. It is diuretic in nature which also helps to eliminate the toxins from the Body. Have a cup a of Lemon Grass tea every day. Mosquito bite Repellant: Mix the oils of Citronella, Lemongrass, Peppermint, and Vanilla. Add a few drops of this mixture to carrier oil. Apply to exposed parts. Insect Repellent: Mix the oils of Lemongrass, Peppermint, and Vanilla. Add a few drops of this mixture to carrier oil. Apply to exposed parts. Digestive disorders: Infuse Lemongrass, Fennel Seed and Fresh Ginger in a cup of boiling water. Steep for 8-10 minutes in a covered pan. Strain and drink hot after dinner. Stress: Mix some Lemon Grass oil with the essential oil of Lavender. Put few drops of this mixture in your warm bathing water. Take a bath to revitalize your body and relieve Stress. Heavy Menstrual Bleeding: Prepare a glass of Lemon Grass tea, by boiling the fresh leaves of Lemon Grass into a glass of water for 10 minutes. Add a half teaspoon of Blackstrap Molasses in prepared Lemon Grass tea. Drink this mixture twice a day, once in the morning and once before going for sleep. Arthritis: Melt 1 cup of Coconut oil in a pan. Add 4 tablespoons of Turmeric powder, 4 tablespoons of Cayenne Pepper, and 1 ounce of dried Lemon Grass into the Coconut oil. Cook for 4 hours and then remove from the heat. Allow it to get cool. Strain it off with cheesecloth. Store in an airtight container. Apply this ointment to the painful joint areas. Asthma: Boil 1 to 2 teaspoons of dried Lemon Grass in 150 ml of water. Put a half piece of Cinnamon stick in this decoction. Simmer it for 10 minutes. Strain it off. Add 1 to 2 teaspoons of Lemon juice. Stir it well. Drink it regularly for treating Asthma. Reports that lemon grass had been distilled for export as soon as the 17th hundred years within the Philippines. The very first samples of the closely associated citronella oil were shown in the World’s Fair at London’s Crystal Palace in 1951. It’s preferred oil in India for years and years as well as recognized locally as ‘choomana poolu’ that refers back to the plant’s red grass stems. In case you go through the huge popularity of lemon grass in Europe as well as North America, it really is difficult to think that the real beginnings of lemon grass are typically in South East Asia. This particular lemon perfumed grass is cultivated on the industrial scale in Thailand, Malaysia, Vietnam and China. An average bit of lemon grass could be about 8 inches (20cm) long having a small bulge right at the end. Lemon grass may possibly appear similar to a fat spring onion; however the fragrance is remarkably distinct (from spring onions). The color of lemon grass is really a pale green along with, small brownish (or brownish pink) portions. To obtain the accurate aroma of lemon grass, you will have to reduce the stem. This releases the unique citrus fragrance which is certain to excite your taste buds. It is primarily the lemon aroma as well as taste that provide lemon grass its title. Concerning the flavor as well as taste of lemon grass, it may be referred to as a powerful lemon taste. Additionally, you will obtain a moderate ginger taste whenever tasting lemon grass. 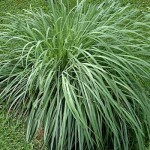 Lemongrass is actually an exotic grass which grows well in damp, warm conditions. With possible beginnings in India and Sri Lanka, this particular savory herb comes with a considerable use throughout much of Asia like a tasty cooking component for salads as well as curries. It absolutely was also traditionally utilized in teas, cleaning materials, perfumes, soaps, creams and deodorants. South American folk medicine utilized the grass for the treatment of managing high blood pressure, inflammation, nervousness, sleep problems, an infection, fevers as well as gastrointestinal problems. Lemongrass is an excellent herb to increase your dishes, it is just a extremely popular herb utilized in Asia for cooking, particularly in Thai food. Lemongrass has got powerful as well as fresh lemony fragrance, and provides a light as well as rejuvenating flavor having a touch of ginger. You’ll find this particular herb in the plant nursery or even purchase the herb within cultural markets for cooking. You may also plant the herb around your home, and it’ll work as an all-natural insect resistant, or even utilize fresh stalk to make Asian dishes. However, it is very important to understand the distinction between lemongrass as well as grass which usually belongs to the same family. The following is info on kinds of lemongrass plant. Also known as oil grass as well as West Indian lemongrass, ornamental lemongrass is really a perennial evergreen in U.S. Department of Agriculture plant hardiness zones 10 through 11. The root base is usually sturdy to USDA zone 8, and also the plant might go inactive with a hard freeze as well as continue growth the following season. 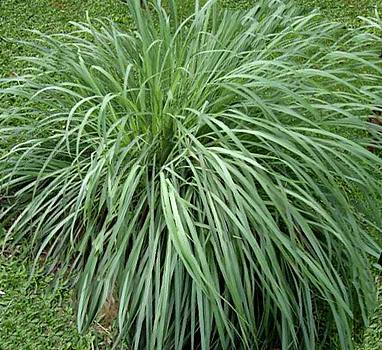 Lemongrass forms thick clumps which usually reach 3 feet in spread and as much as 6 feet tall, from which long, arching, light green stems, arise. Even though the plant will certainly endure a few shades as well as isn’t fussy about soil type, it performs very best in complete sun along with loamy, well-draining soil. To propagate, separate clumps in summer and spring. Citronella (Cymbopogon nardus), also referred to as nard grass as well as mana grass, is definitely the variety of lemongrass by which citronella oil is manufactured. Many people are informed about this particular oil just as one insect repellent, even though it is additionally utilized like a flavoring agent as well as in the manufacturing of cosmetics as well as perfumes. Citronella is perennial in USDA zones 10 through 12, yet cannot often be relied on to live wet winters. Dividing and replanting clumps in late summer or early fall increases the likelihood of success, particularly if you keep a number of the divisions indoors till the following spring. Java citronella (Cymbopogon winterianus) emanates from Java Island in Indonesia. This particular lemongrass variety also develops in small, dense clumps as well as creates tall, arching leaf stems which are colored yellow or even reddish-purple. The plant demands plenty of sun as well as dampness and grows very best in sandy loam soil with higher drainage along with a pH of 5.8 to 8.0. Just like numerous lemongrasses, viable seeds are difficult to find, making clump division the easiest method to propagate. The plant is traditional in USDA zones 9a through 11 and grown just as one annual in chillier regions. Additionally referred to as Malabar grass, East Indian lemongrass (Cymbopogon flexuosus) also imparts a lemony aroma as well as flavor however with warm, gingery undertones. A perennial in USDA zones 9 through 11, this particular variety likes full sun, high temperature as well as naturally rich loam soil with higher water drainage. East Indian lemongrass requires lots of space within the garden; however it may also be cultivated just as one annual in chillier environments in big containers. Since this variety creates tall, purple seed heads, it can make a beautiful border or even hedge plant. 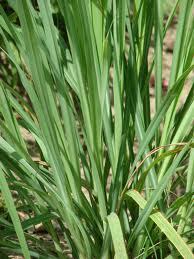 East Indian lemongrass is additionally grown alongside embankments to assist avoid soil deterioration. West Indian lemon Grass (Cymbopogon citratus) is indigenous to Ceylon and southern India, and is particularly grown in exotic regions around the world. 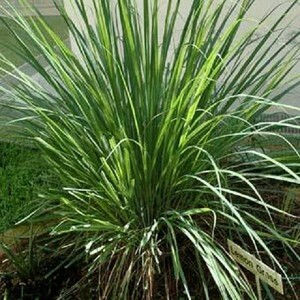 West Indian lemon grass needs a soil pH of between 4.3 and 8.4. The plant’s oil possesses a few reported anti-microbial capabilities, and behaves as a depressant on the central nervous system. 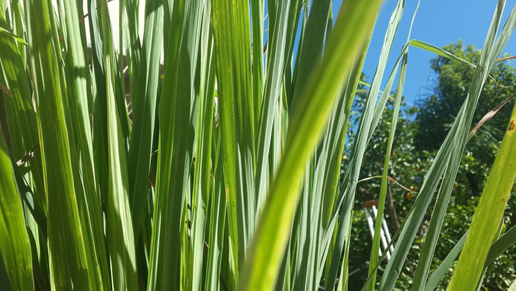 Whenever utilized like a spice, West Indian lemon grass needs to be utilized in a small amount, since it is quite stinky, and all parts of the stalk may be used. Alternatively known as scented grass or even Australian lemon-scented grass (Cymbopogon ambiguus), Australian lemon grass develops all through the majority of Australia, apart from the cooler locations. Just like the various other lemon grass plants, this particular plant produces a lemon-like citrus smell whenever cut or even crushed, and is also versatile to various soil kinds. 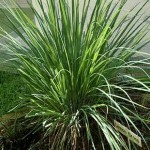 Australian lemon grass is frequently utilized in landscaping as ground cover or perhaps in places exactly where watering is hard. The plant actually reaches about 3 ft. Tall, and is also drought- as well as frost-resistant. Cymbopogon ambiguus, or even Australian lemon-scented grass, is part of the family Gramineae. It’s got aromatic, blue green grey leaves as well as fluffy seed heads. It really is self-fertile. It requires a sun-drenched place. It could endure severe dryness once set up. 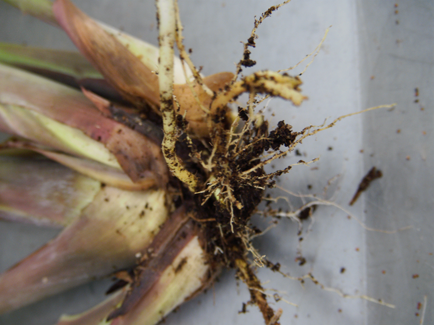 Propagation is simply by division of clumps or even from seed. Lemon grass could be cultivated in almost any soil and requires hardly any water. It actually reaches a height of 1.8m. Do cut regularly for the luxurious development. 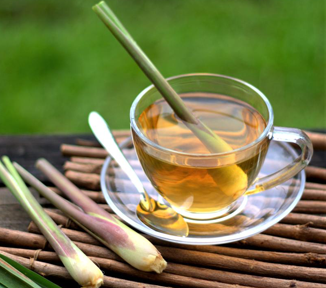 Lemon grass is utilized in tea since it features a soothing as well as comforting impact on digestion as well as stress. Cymbopogon martinii is really a variety of grass within the lemon grass genus most widely known by the common title palmarosa. Various other typical titles consist of Indian geranium, ginger grass as well as rosha or rosha grass. This particular perennial grass is indigenous to South and Southeast Asia, particularly India, and it’s also grown because of its oil. The essential oil of the plant, that contains the active compound geraniol, is worth its fragrance as well as for numerous traditional therapeutic as well as household uses. Cymbopogon nardus is often a perennial of the Poaceae grass family, beginning in exotic Asia. It really is widely used just as one essential oil referred to as “citronella oil”. Can’t be consumed due to its boring nature. Is surely an unpleasant variety which provides pastureland ineffective as cattle will starve even just in its abundance. Essential oils are obtained from the aerial parts, and therefore are utilized topically just as one insect repellent. Cymbopogon schoenanthus, camel grass, camel’s hay, fever grass, geranium grass, or even West Indian lemon grass is really a herbal plant of southern Asia and northern Africa, along with aromatic leaves. The Sugandhi variety of lemon grass is flexible to the wide range of soils and it has the greatest oil content. This particular red-stemmed variety of lemon grass originates from East India. The Pragati variety of lemon grass is often a tall-growing variety. It features a dark purple sheaf which develops round the oil-containing, bulbous stems found at the bottom of the plant close to the ground level. It doesn’t have got as high of an oil content as Sugandhi, and it’s also more modified to the Northern India Plains. Additionally it is regarded as an East Indian variety of lemon grass. 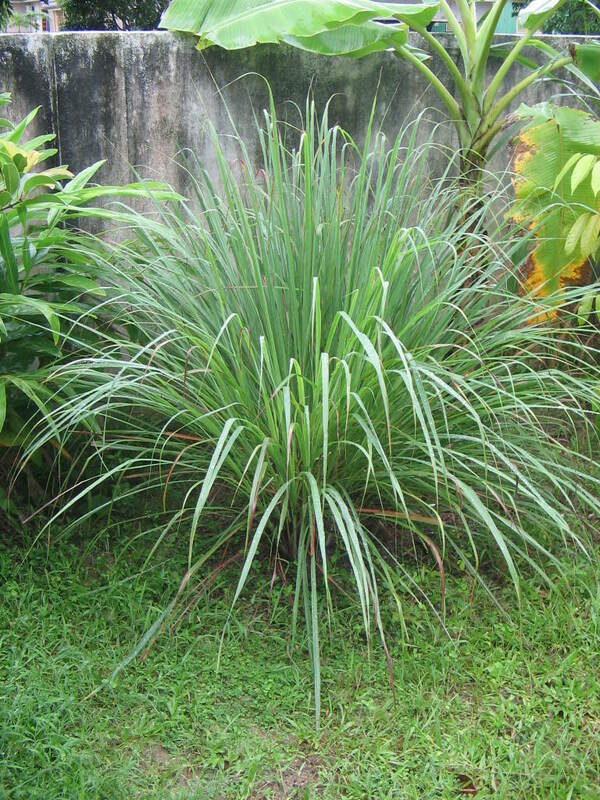 The Jama Rosa variety of lemon grass is actually a sturdy as well as a little more cold-tolerant variety of lemon grass which has energetic development. Mainly because it develops more quickly compared to other types, you are able to cut it many times for harvest throughout a 16 to 18 month growth time period. 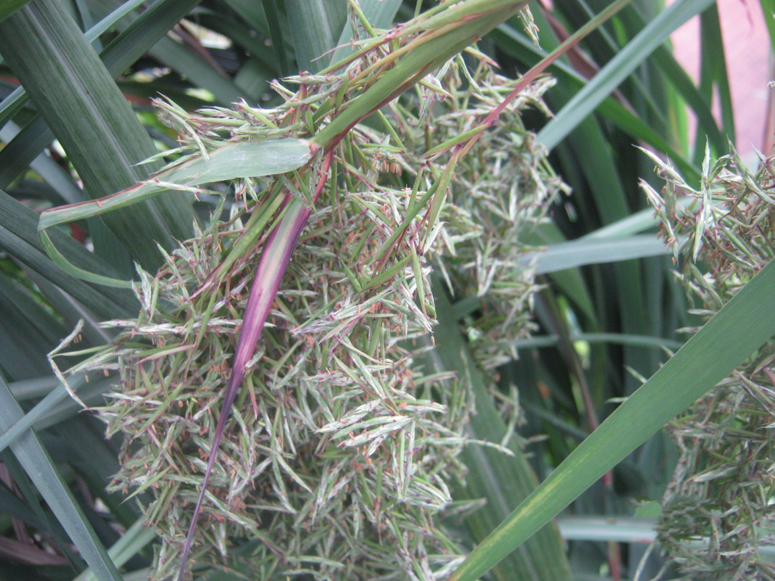 Jama Rosa is usually a hybrid cross between a numbers of different varieties of lemon grass. The Praman variety of lemon grass features higher oil content and is also a medium-sized plant when compared to other types. 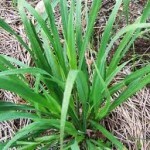 The leaves or even development habit of the grass is erect or even upright when compared with other types of lemon grass. Praman is really a Northern lemon grass variety. 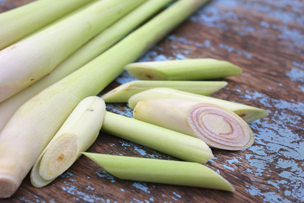 Fresh lemongrass stalks as well as leaf buds can be found throughout the year. Generally speaking, fresh leaves are collected to be used in cooking through the backyard garden. If you need to buy from the herb stores, select fresh lemongrass leaves as well as stem featuring fresh and also lemon-like flavor using a hint of rose fragrance. Look very carefully and prevent yellow discolor as well as spotted leaves. Once in your own home, clean stems in clean cold water. Air-dry. Split its leaves from your stem. Put lemongrass stems in zip pouch, and keep it individually within the refrigerator because the herb has a tendency to distribute its taste along with other foods. In this way, it remains fresh for approximately 2-3 weeks. The stems may also be frozen and keep well within this situation for many months. 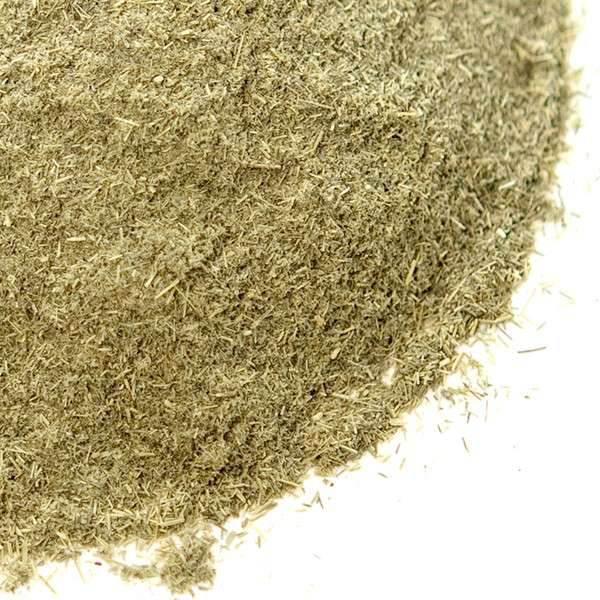 Dry and ground lemongrass powder (sereh powder) can as well be obtainable in the markets. Purchase from organically produced as well as genuine vending sources. Dried herb needs to be saved in an air-tight pot as well as put in a cool, dark as well as dry place exactly where it’ll keep fresh for many months. Lemon grass can be bought in Asian markets as well as health food stores as well as will come fresh, dried as well as powered. 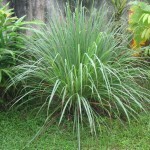 You may also develop lemon grass yourself, possibly outdoors or indoors in the warm climate. Fresh lemon grass is preferable to powdered or even dried and also the most powerful form is lemongrass essential oil. Essential oils are 70 times much more powerful as compared to their plant counterparts and also have been utilized all through history for health and fitness. Lemongrass is extensively common as spice for a number of culinary as well as food preparations. Lemongrass is well-known because of its citrus taste that is traditionally used in a number of Asian Foods. Lemongrass is renowned for its capability to reject insects as well as bugs. Additionally it is utilized in India like a snake repellant. Lemongrass is grown throughout the house or even on to window sills. Lemongrass oil includes a fruity citrus aroma which is traditionally used as scents for soaps, moisturizers, cleansers as well as deodorants. Lemongrass is likely to Mercury and air. It is stated to reject dragons as well as serpents, and is also burnt, washed in, or even carried on the person for lust, faithfulness, honesty, growth, strength, psychic powers, as well as purification. 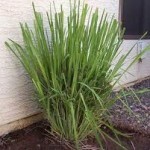 Plant Lemongrass around the house to get rid of serpent energy. Consume a tea to assist in psychic abilities as well as divination. Carry it in the sachet or even charm to draw in the object of the desire and also to bring honesty in your relationships. Burn just as one incense for strength as well as purification. Place a number of leaves in the mesh bag and put underneath the tap water for the purification bath, and also to attract and keep a lover. Cymbopogon citratus is abundant in the Philippines and Indonesia where it is known as tanglad or sereh. Its fragrant leaves are traditionally used in cooking, particularly for lechon and roasted chicken. Heart of the young shoots is cooked and eaten as a vegetable. Aromatic leaves of lemongrass are commonly used for tea and other beverages. Dried leaves are widely used as a lemon flavor ingredient in herbal teas. Beekeepers sometimes use lemon grass oil in swarm traps to attract swarms. Lemon grass oil has been verified for its repellency against stable flies, which bite domestic animals. Essential oil can also be used in perfumery and making cosmetics and soaps. 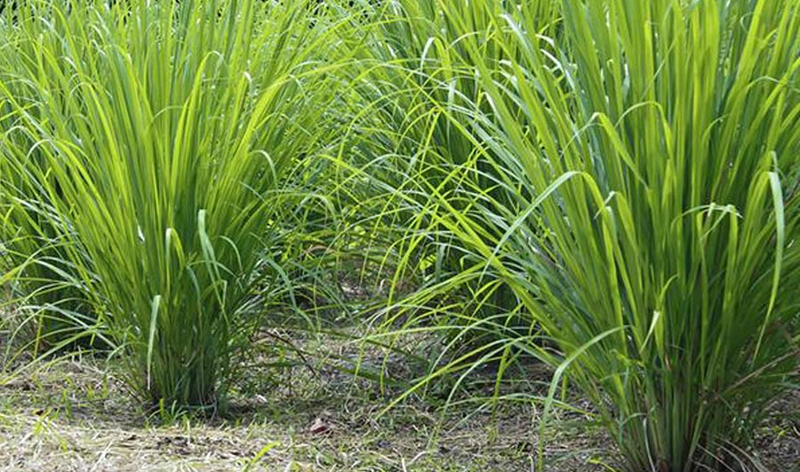 A row of lemongrass plants can be used as a divider in the garden. Grass is useful for soil improvement and erosion control. 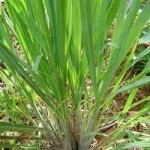 Lemongrass is used for the manufacture of tea bags in Jamaica. 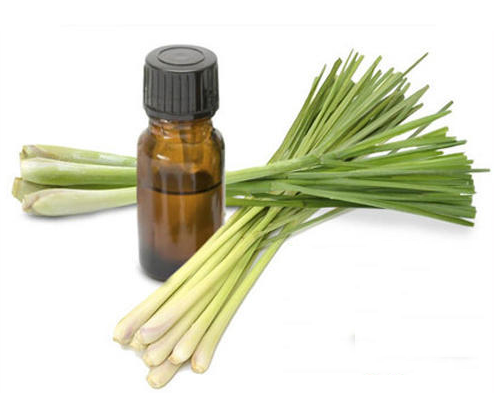 Essential oils of lemongrass are common ingredients of massage oils and candles that are used in aromatherapy. Handling plant may cause skin irritation or allergic reaction. Lemongrass oil should not be used on small children. It should not be taken if pregnant since it has uterine stimulating properties. To avoid irritation dilute lemon grass oil in carrier oil before application. Use small amount for a limited time. The essential oil shouldn’t be utilized internally by kids, ladies who are pregnant or even breast-feeding, or individuals with liver or kidney disorder. On a cutting board, using a pair of kitchen scissors, or sharp paring knife, cut the shrimp lengthwise through the shell, along the top side about 1 inch below the head and press to flatten. Pull out and discard the intestinal vein that runs lengthwise. 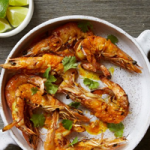 In a small microwave safe bowl, combine the softened butter with the sriracha, lemongrass, garlic, ginger, turmeric, fish sauce and lime juice and season with the salt. Microwave on high power just until soft enough to brush but not melted, about 5 seconds. Light a grill and oil the grates. Arrange the butterflied shrimp in a hinged grill basket, shell-side down, brush with oil and season with salt. Brush very lightly with some of the butter. Grill the shrimp, shell side down until lightly charred, about 2 minutes. Brush the shrimp with more of the butter, turn and grill until lightly charred and cooked through, about 2 minutes longer. 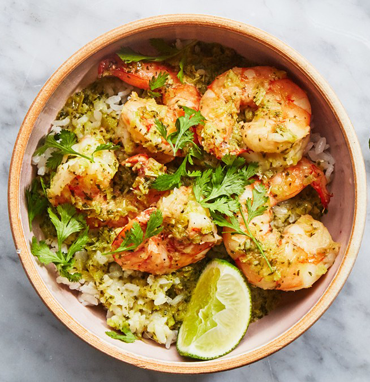 Transfer the shrimp to plates and serve with the remaining butter, naan, lime wedges and cilantro. Serve right away. Meanwhile, toast guajillo chile in a small dry skillet until puffed and fragrant, about 30 seconds per side. Chop chile (with seeds) and transfer to a food processor. Add garlic and lemongrass and pulse to a coarse paste. Add fish sauce, lime juice, soy sauce, brown sugar, cumin, onion, tomatillo, and jalapeño. Pulse to a coarse purée; season with more fish sauce and lime juice, if desired (mixture should be salty and flavorful). Heat oil in a large wok or skillet over medium-high heat. Add tortillas and cook, stirring occasionally, until golden brown and crisp, about 2 minutes. Increase heat to high and add onion and jalapeño to same wok; season with salt and pepper. Cook, stirring often, until softened and fragrant, about 2 minutes. Add eggs and cook, stirring constantly, until fluffy and just set, about 1 minute. Add rice and cook, stirring often, until rice is evenly coated and beginning to brown, about 4 minutes. Add jaew and cook, stirring occasionally, until fragrant and paste reduces slightly, about 2 minutes. Remove from heat and mix in cheddar and half of fried tortillas. 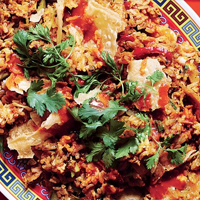 Serve fried rice topped with scallions, cilantro, hot sauce, MSG (if using), and remaining fried tortillas. Leaf Bluish green, thin, blade-like leaves with drooping, pointed tips. Leaves change color from green to red during the autumn. Crushed leaves emit lemony aroma. 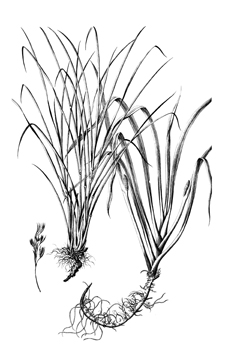 Andropogon nardus var. ceriferus (Hack.) Hack. Calories 66 K cal. Calories from Fat 2.97 K cal.